The Royal Navy amphibious assault ship HMS Bulwark has been moored in London on a five-day visit to display her capabilities to a number of visitors from senior officers to sea cadets. HMS Bulwark, one of the Royal Navy’s two technologically-advanced amphibious assault and command and control ships, has been moored at Greenwich. Whilst in the capital HMS Bulwark played host to a number of visitors ranging from senior Royal Naval and Ministry of Defence officials to senior academics. Also due to visit the ship were local sea cadet units and London-based charities which the ship supports. The main purpose of the visit however was to display her breathtaking capabilities, including how the military, in particular the Royal Navy, can rapidly deploy in times of need, with a wide range of assets and skills. Demonstrations included command and control aspects, military aid to civil powers, field kitchens, and medical and first aid techniques. The ship was also able to show off her hardware. The ship is carrying a large variety of boats, land vehicles, amphibious landing craft and helicopters. 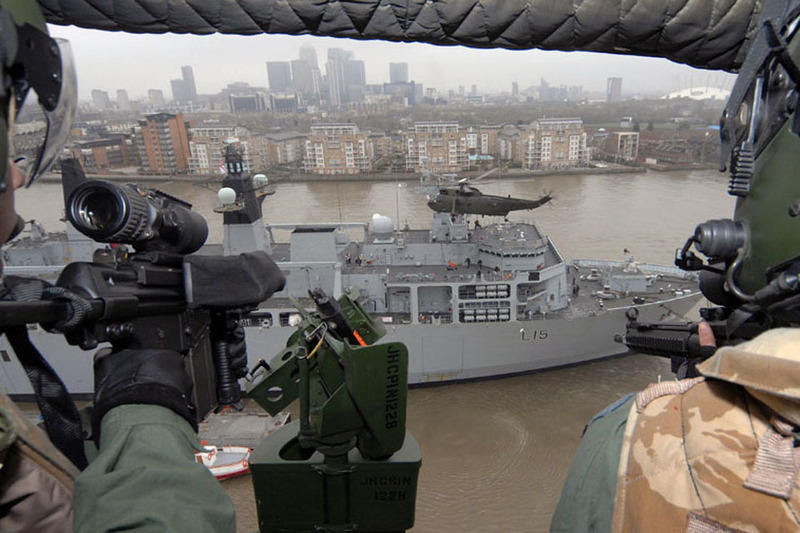 The event culminated in a dynamic demonstration involving her airborne assets over the River Thames in Greenwich. Bulwark is the country’s very own Swiss army knife. 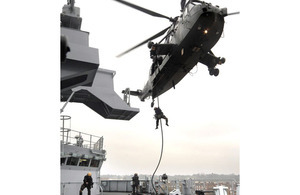 Totally indispensable and phenomenally versatile, she packs a punch with our Royal Marines and delivers proven essential support to the softer humanitarian and disaster relief operations and homeland defence. It is extremely fortunate we have found time in the busy generation programme to demonstrate to the capital what we can deliver. My team can’t wait to show it off - in these uncertain times we are totally focused on our commitments to the country’s interests and responsibilities and expect to be very busy once fully operational later this year. Following her visit to London, HMS Bulwark will continue with her sea training in preparation for taking on her new role of UK fleet flagship and high readiness assault ship later this year. She will then visit Den Helder in the Netherlands before returning home to Plymouth for a short upkeep period at the end of March 2011.